Odoo ERP. Beautiful. Mobile. Open Source. IP’s pervasiveness makes it a natural choice for converged communications. Couple this with growing customer demand for greater bandwidth, Quality of Service (QoS) and wide-range mobility, and soon the inevitable occurs. Industry giants and start-up players are scrambling to outperform one another with revolutionary Voice over IP (VoIP) solutions. Managing your salon has never been more convenient. Roll everything employees do, sell, and earn into a complete business management system.Get ready for your upcoming day with our Dashboard, complete with Business Summary, Productivity Meter, Top Booked Services, and more. 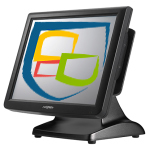 Aldelo POS Pro is a full featured and simple to use software solution ideal for all restaurants and bars. The following summarizes key features and benefits of our advanced point of sale and store management solution. H.A. Retail POS converts your PC into a powerful Point of Sale system with inventory control and accounting – no hidden extras. Multi-currency supported on POS and sales screens. Tally ERP , we have a hard-earned reputation for empowering businesses with stable, effective software products. Tally.ERP 9 has all the features required for high-performance business management. age 50 Bahrain and ME Edition is the perfect accounting and business management solution for small and medium-sized enterprises. 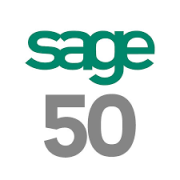 A holistic solution, the Sage 50 can help you manage operations, draw reports and identify trends and opportunities, all from one interface.